Caution:Keep the thrust washers with gear it was matched to. Thethrust washers are selective sizes and it is difficult to identifythe proper washer thickness. Improper assembly can cause prematurefailure of the differential assembly. Clean and inspect the differential assembly, pinion gears and thrust washers for scoring,wear or damage. 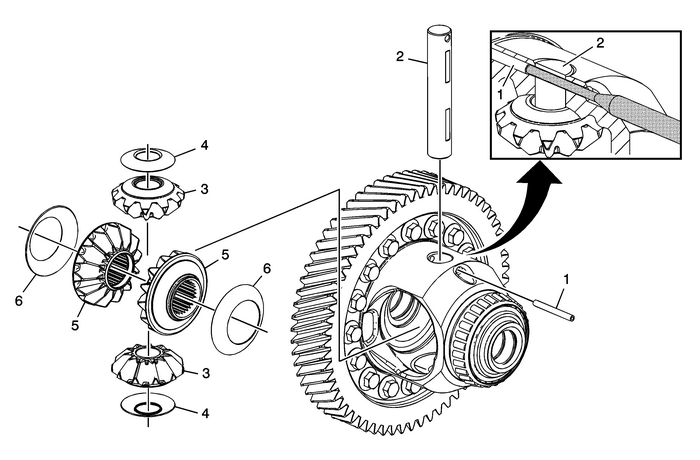 The differential assembly is only serviced as an assembly. Note:Discard and use a new retainer.